I undertook my elective placement in Ghana for 5 weeks in April- May 2012. 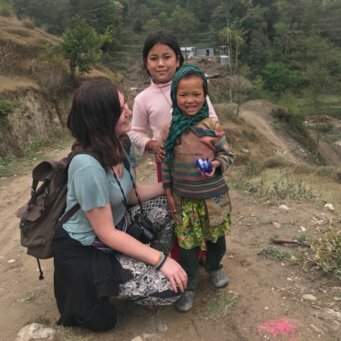 I spent my first 4 weeks working at the regional hospital (2 weeks on the paediatric ward and 2 weeks on the Neonatal Intensive Care Unit) and my final week living in Fasin village and working at the community clinic. Deciding to undertake my elective placement abroad was the scariest yet most unbelievable decision I have ever made. I was so nervous to be travelling alone but Work the World made me feel at ease right from day one. I was always sceptical about using companies and paying them to sort everything out but it is so worth it! Work the World take you through step by step about preparing for your elective and make the experience individually tailored to you. Being a student children’s nurse it was vital that I could spend all my clinical time in children’s departments and Work the World ensured that this was possible. The main reasons for undertaking my elective in Ghana were that I have always wanted to visit Africa and experience the true African culture. I also chose Ghana as I would be exposed to conditions and diseases that I would not see in the UK. After a long flight alone I was very nervous but was greeted by Ezekiel with a big hug! This made me feel at ease straight away. He let me borrow his phone to call home and explained what would happen over the next few days. We stayed in a hotel overnight and took the interesting 4 hour bus journey to Takoradi. I met Dorcas, Al Hassan and Joe (the staff at the house) who were all very welcoming, friendly and approachable. I was shown around the house and around the local town which made me feel at ease because I knew where the local shops, bank and hospital were. 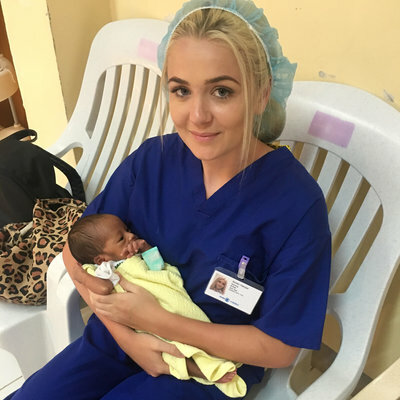 I spent 2 weeks on the paediatric ward – it is a very busy department and sees children with a huge range of conditions. The following conditions (some common in the UK, some very rare) are conditions I saw and helped treat on the ward; TB, malaria, diarrhoea & vomiting, gastroenteritis, pneumonia, sickle cell anaemia, cancer, meningitis, HIV, neglect, malnutrition, chest infection, typhoid, dysentery, failure to thrive and necrotising fasciitis. The doctors on paediatrics are very keen to teach you- one of the doctors spent an hour going through x-rays with me and how to tell whether the child has pneumonia or TB. I then spent the following 2 weeks in the Neonatal Intensive Care Unit. The reasons for babies being admitted to NICU was due to prematurity, HIV prophylaxis, broken bones, sepsis, difficult/prolonged delivery’s, birth asphyxia, heart defects and genetic disorders. NICU was a shock for me as there is a high death rate in premature babies due to lack of resources (no babies are intubated and ventilated) but I learnt so much on this placement. I was able to teach mums how to breastfeed their babies and I had lots of cuddles when their mums’ needed a break which was lovely! My final week was spent in the village of Fasin, around 30 minutes from the Takoradi house. I went to the village on my own, which I was nervous about, but I had a brilliant time! The family I stayed with were amazing. I worked in the village clinic in the day and spent the evening with the family. I visited a gin distillery, a palm oil distillery, the family’s farm a few miles from their house, the chief of the village, a nearby village to give immunisations and a local beach. The village clinic was very similar to a GP surgery but is run solely by nurses. The clinic had a dispensary, treatment room, inpatient facility and consulting room. They had a lot of focus on promoting contraception and health promotion with the use of posters and handing out free mosquito nets. Whilst in the village I also saw charities delivering clothes from the UK which was amazing to see and I also saw children running around in ‘toms’! Free time after work is much needed to relax and wind down as it is very tiring due to the heat. Every Thursday after work, the students and staff from the work the world house would have a BBQ with lots of dancing and occasionally traditional African dancing and drumming – it was so much fun and allowed us to embrace true Africa! In my free time I went travelling around Ghana which really improved my confidence – trying to navigate with basic Fante and squeezing into tro-tros was such fun. I visited an old slavery fort, a national park where I slept overnight in the jungle, a stilt village, a few beaches and a canopy walk in the jungle. I also visited an orphanage which is brilliant – definitely take donations even if it is just stickers, paper, crayons and bubbles (they loved these!) – The happiness and smiles on the children’s faces is unforgettable. Another opportunity I had was to visit the Sekondi-Takoradi School of Nursing and sit in one of their lectures – I would definitely recommend popping in for a visit – the student nurses and midwives loved asking us questions about nursing in the UK. You must go to Ghana and experience the culture and the wonderful people of this country. It will allow you to utilise and consolidate all the current knowledge you have, appreciate the resources we have in the UK, see diseases/conditions you may not see in the UK, make new friends and do some travelling! 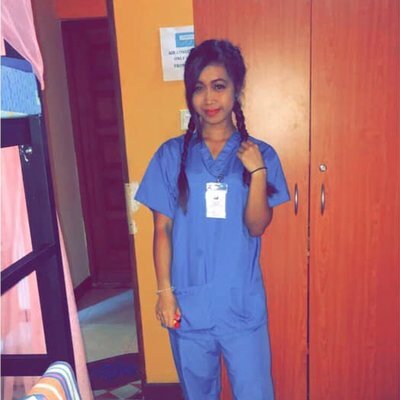 I would recommend to every nursing student to undertake an elective placement abroad and don’t be worried about going alone (if I can do it then so can you!) - The staff from the house are so friendly and the Ghanaian people are so welcoming. It will change your view on healthcare and it will make you develop both personally and professionally. I will always remember my elective placement as an experience that I will never forget. If I had the chance to do it again I definitely would! I hope to return in the not so distant future!